Think back to the year 2012. Remember much of anything? We don’t blame you if you can’t, so here’s a quick recap: Mitt Romney and Barack Obama were running against each other for the presidency of the Unite States, NASA’s Curiosity rover on Mars checked into Foursquare for the very first time, Gangnam Style took the world by unprecedented storm, and Google launched the Nexus 7 in conjunction with Asus. Up until that point in time, affordable, high-quality tablets weren’t really something that you came by every single day. The year of 2012 was one that we saw things like the Samsung Galaxy Note 10.1, Apple iPad Mini, and Microsoft Surface RT. All of these tablets packed in compelling features, but they also came in at price points that were far too hefty on many people’s wallets at the time. Cheap tablets certainly did exist, but the majority of them were too underpowered and lacked a solid built quality to make them worth any amount of consideration. With the Asus-made Nexus 7, Google set out to do something that hadn’t been done in the tablet landscape yet – make a full-featured tablet with a powerful CPU, high-res display, good build quality, and sell it for just $199. It seemed absolutely absurd at the time, and I know for certain that I was one of the many people freaking out while I read the news reports after Google announced it at their I/O developer conference just 4 short years ago. Fast forward to 2016, and while there are still plenty of affordable, smaller tablets to choose from, the competition isn’t nearly as heated as it was back in 2012. The popularity of tablets has died down quite a bit over the last couple years, and while new ones still enter the market on a fairly regular basis, the steam that was once there has undeniably fizzled out quite a bit. However, Asus is one of the few manufacturers out there that’s still betting quite a bit on tablets. 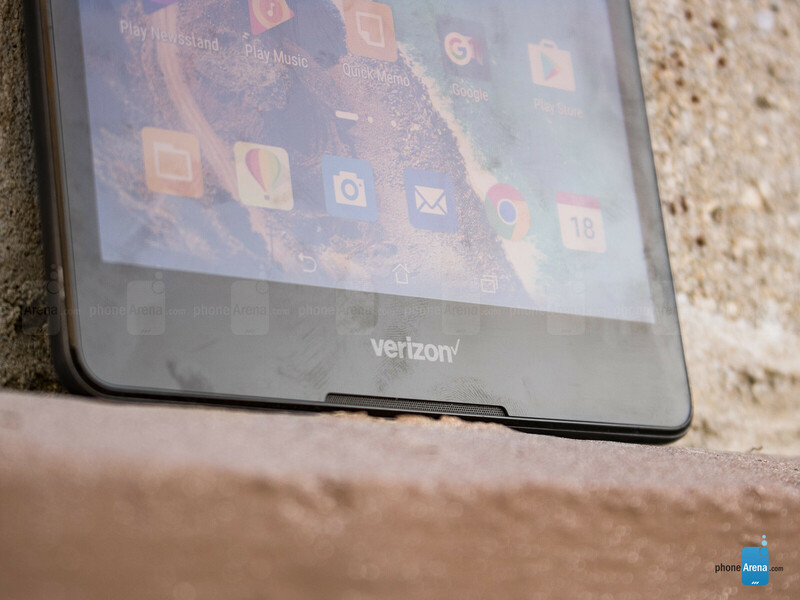 The Taiwanese-based company recently released two new tablets on Verizon Wireless – the ZenPad Z8 and Z10 – and today we’re going to be taking a look at the former of those two devices. Both of them aim to offer a solid Android tablet experience without having to pay a lot of money, and as the name suggests, the Z8 is the smaller and more affordable option of the two. However, don’t let its lower price tag fool you. While the internal specs may not be the most impressive on paper, they all come together to deliver a surprisingly fluid and solid experience. Plus, the inclusion of a 2K display, beefy battery, and cellular data connectivity through Verizon add some really solid benefits that you don’t generally see in this price range ($10.41/mo. installments; $149 with 2-year contract; or $249 full-price). 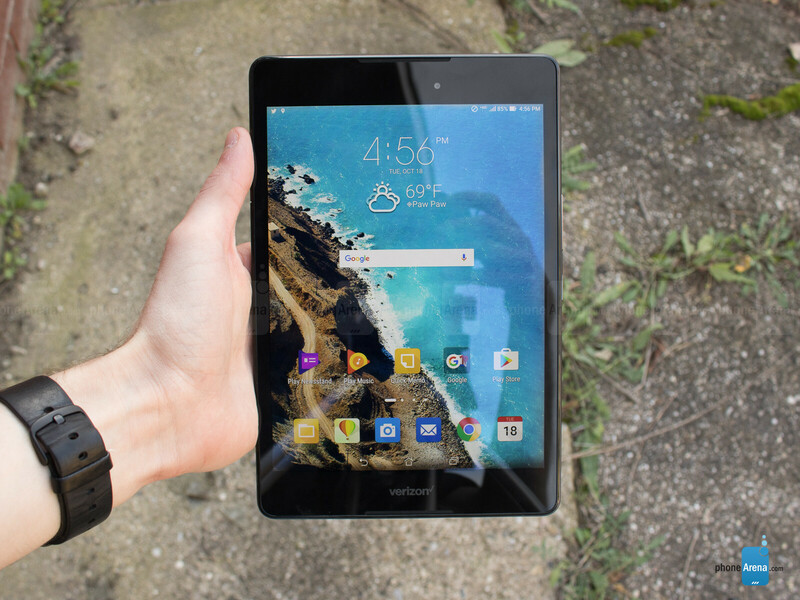 Asus’s ZenPad Z8 reminds me a lot of Google’s Nexus 7 in the sense that it just works, and that really is quite commendable. 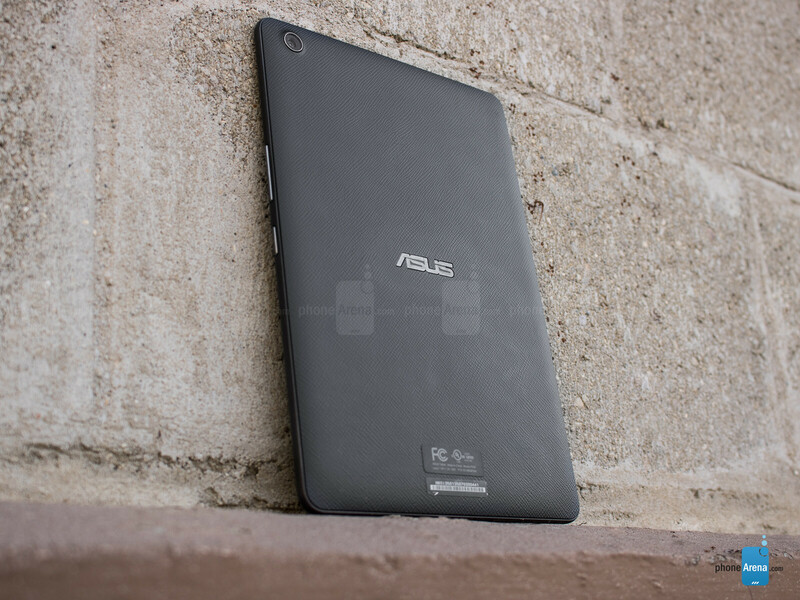 However, 4 years later, does Asus’s prowess that they showcased with the Nexus 7 shine through with the ZenPad Z8? Let’s find out. When Google/Asus’s Nexus 7 was first released, one of the standout features for the 7-inch tablet was its build quality. The Nexus 7 was incredibly sturdy for its price tag, and definitely felt like it should cost more than what you paid for it when you held it in your hand. While the ZenPad Z8 definitely isn’t the cheapest-feeling gadget I’ve ever used, it doesn’t exude that same amount of quality and attention to detail that the Nexus 7 did. This is most notable on the backside of the Z8. Even when putting the slightest amount of pressure near the center of the back, a considerable amount of creaking can be heard. This may not seem like a huge deal at first, but having to listen to the tablet constantly creak as you shift positions while using it can prove to be a rather big annoyance. Additionally, as much as I do love the grippy nature of the back, its tendency to pick up fingerprints and skin oil was definitely another turn off. This lack of quality can also be seen with the physical power/lock and volume buttons. While they offer a nice amount of click and tactile feedback, they’re quite a bit stiffer than I would have liked to see. 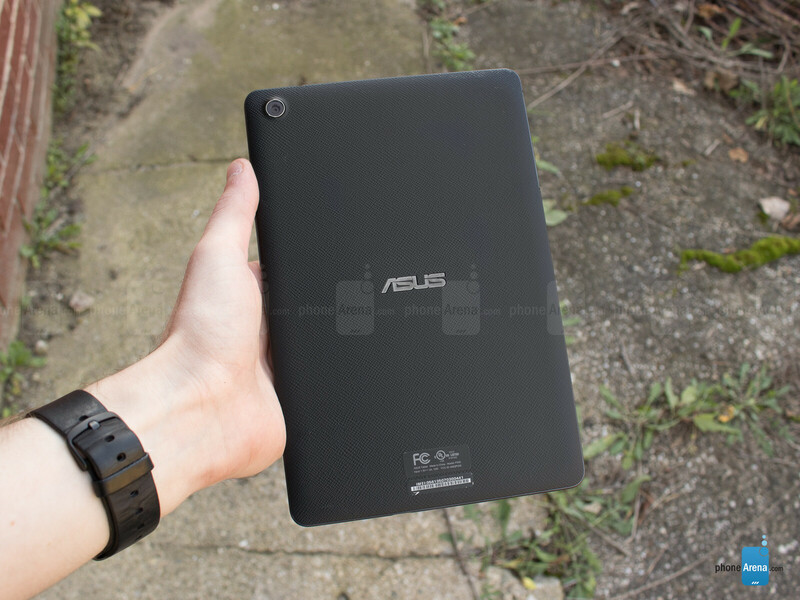 Aside from those gripes, the rest of the design aspects for the ZenPad Z8 are actually quite nice. The front is mostly taken up by the tablet’s 7.9-inch display (more on that in just a bit), and the bezels are quite minimal. The bezels found on the top and bottom are a bit on the chunky side, but this actually proves to be an advantage when using the tablet in landscape mode. The bezels provide for a nice resting place for your thumbs when using the tablet in that orientation, and ensure that you don’t accidentally bump something on the screen while engrossed in your favorite movie or racing sim. The Z8 comes in at a weight of 320-grams, and while that may be a bit on the heavier side of the spectrum, the Z8 never felt overly-heavy in my hands while using it. The rounded corners help to ensure that it doesn’t dig into your palms, and with the tablet measuring in at just 7.6-millimeters, everything is packed into a considerably thin body. Every gadget has that one key feature that truly makes it stand out among the rest, and for the ZenPad Z8, that feature is undeniably its display. The Z8’s display measures in at 7.9-inches, but the most impressive bit about it is its resolution of 1532 x 2048. That’s right, folks. 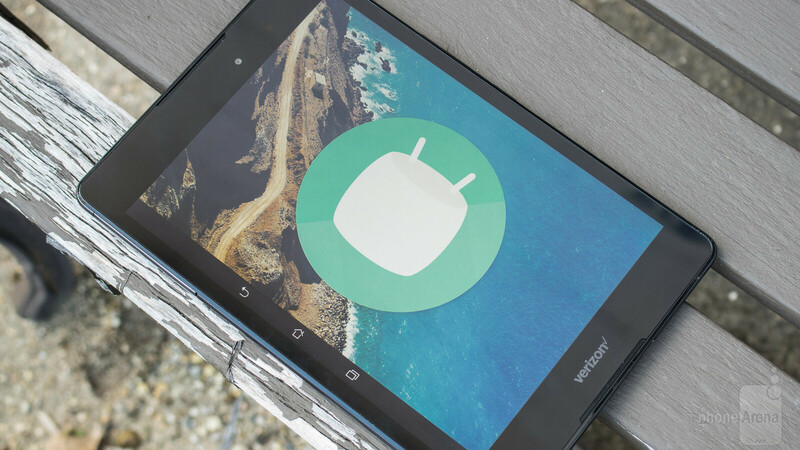 We’re talking a 2K display on a budget Android tablet. So, in real-world use, how does it perform? To be completely honest, this little bugger impressed me quite a lot! Text is easily readable, viewing angles are superb, colors look nicely saturated, and whites appear very stark. The Z8 impressed me with just how much I enjoyed watching videos, browsing the web, and playing games on its display. However, in order to get some added bit of pop with the colors, if that sounds like your kind of thing, there's a Vivid color mode you can engage. Another thing worth mentioning with the display is its form factor. This isn’t a 16:9 aspect ratio like you’d find with most tablets. The ZenPad Z8 features a form factor that’s much wider than the majority of Android tablets on the market, and feels much more reminiscent to the 4:3 aspect ratio of the Apple iPad than anything else. 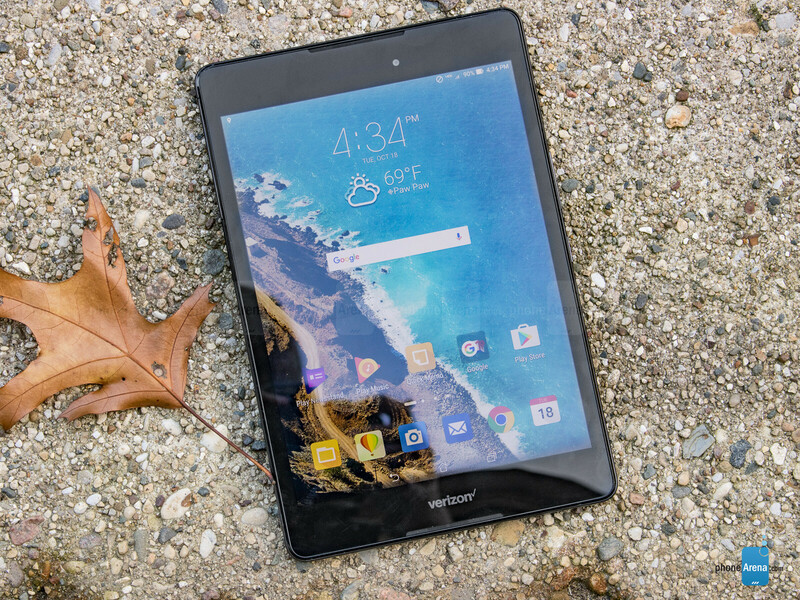 Depending on how you plan on using the ZenPad Z8, this form factor has its own set of pros and cons. The wider screen makes the Z8 great for browsing the Web, scrolling through social media, playing games, reading e-books, etc. However, when it comes time to watch a movie or YouTube video, you’re going to be met with those infamous black bars on the top and bottom of your content. This personally didn’t bother me all that much, but if you’re someone who streams video content the majority of the time you’re on your tablet, this could prove to be a rather annoying aspect. I'm trying to figure out why this one is rated higher than the V20. If this tab is unlocked it will get 7.0 score. Since this tab is available exclusivelly for Verizon in USA hence the 8.3 score. You get the point, clearly PA is sponsored by Verizon. It's an advertising. I get the point, man. Thanks you!! !